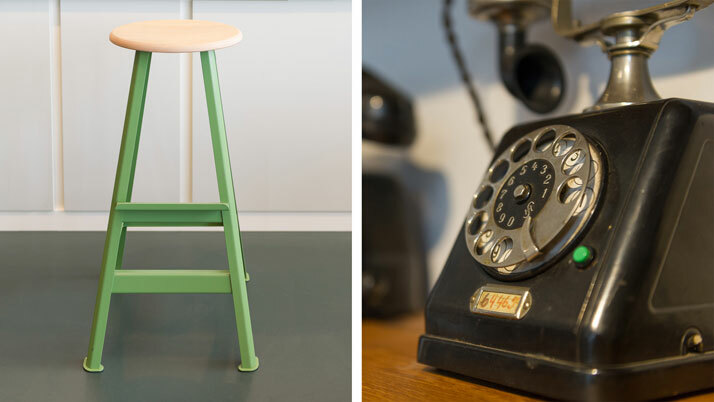 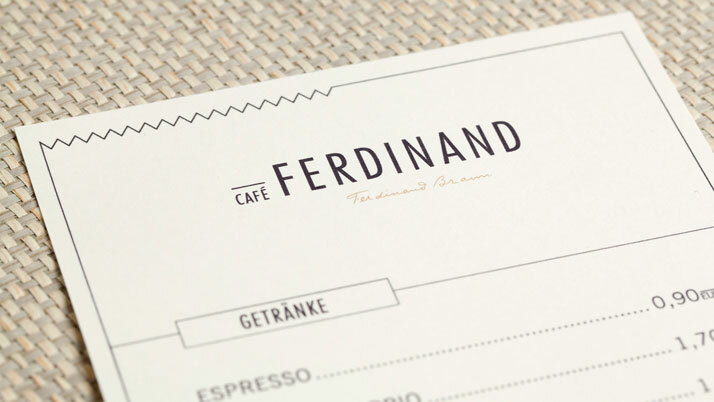 The young international design agency Aerogram Studio has designed the interior and identity for this retro-looking café in Hamburg, Germany. 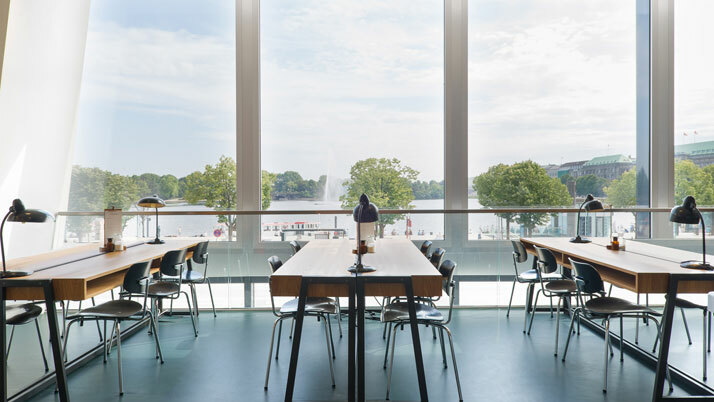 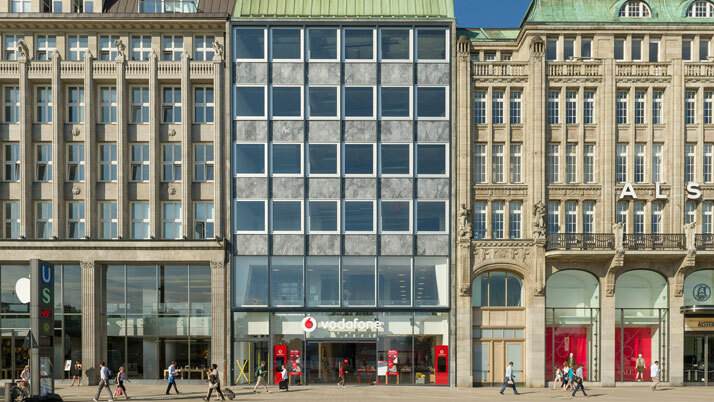 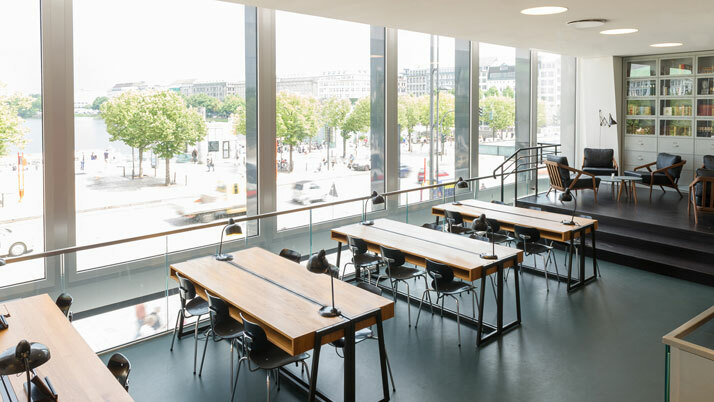 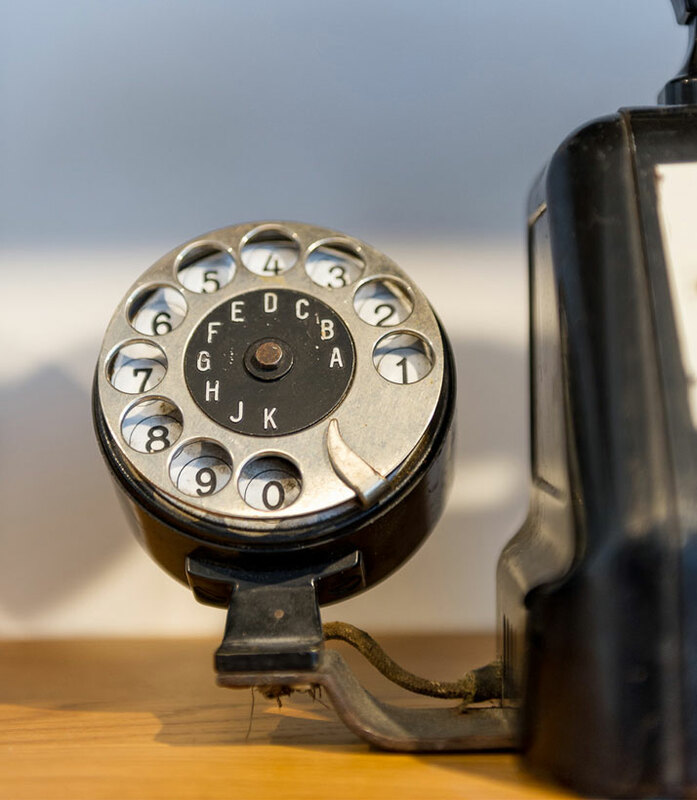 Overlooking the Jungfernstieg shopping street and the picturesque Binnenalster Lake, the Café Ferdinand which was commissioned by Vodafone, also occupies the first floor of the company’s new flagship store in the city. 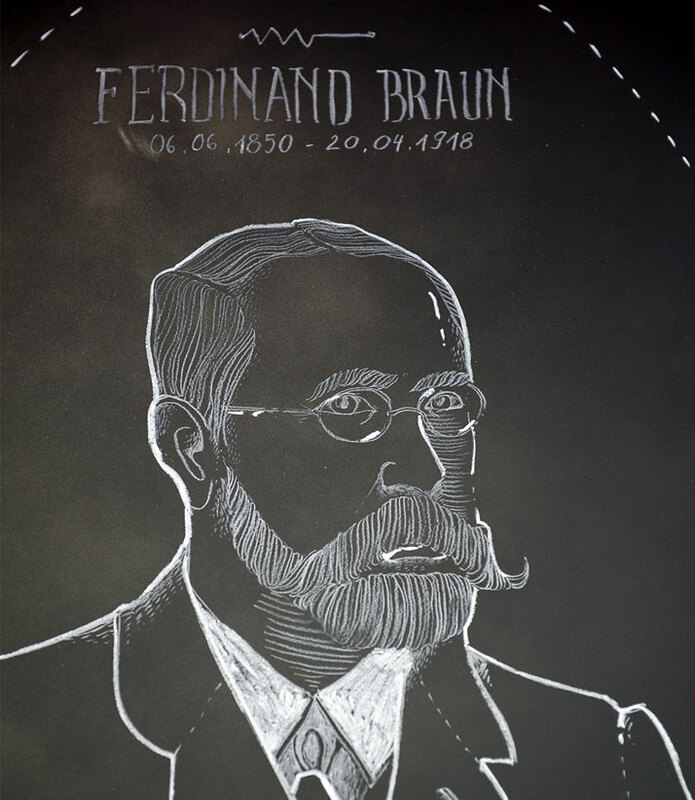 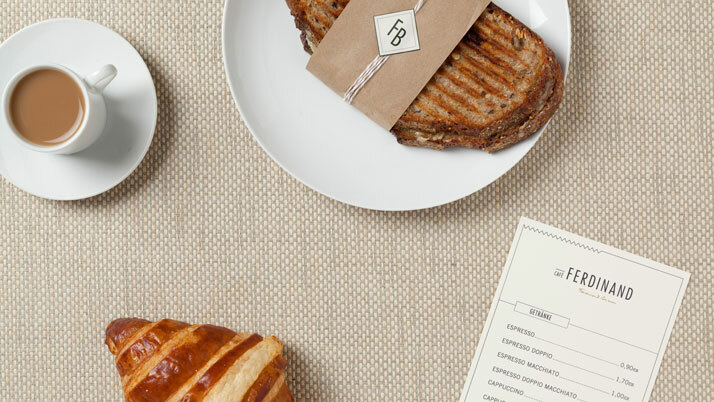 The client chose to name the café after Ferdinand Braun, the German inventor, physicist, Nobel laureate in Physics and pioneer of modern telecommunication. 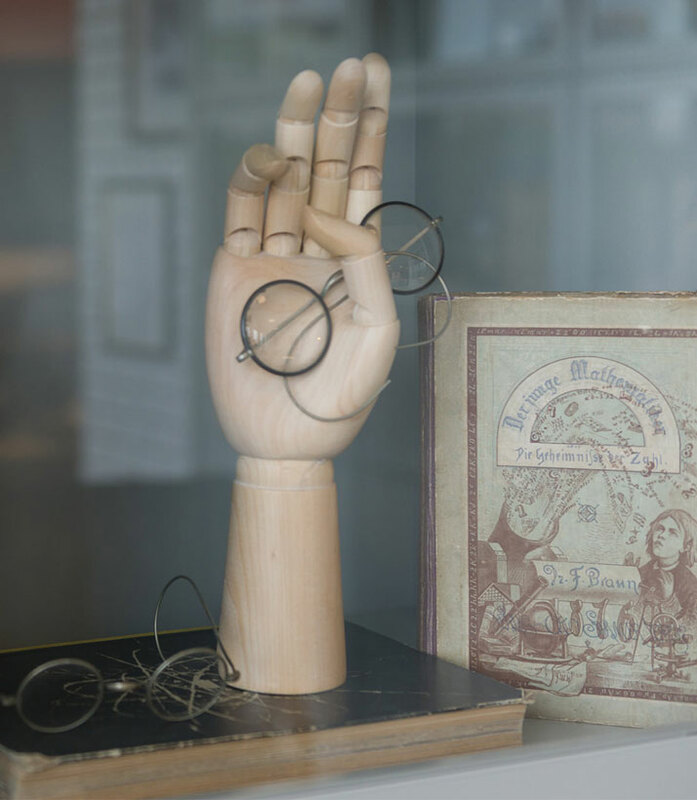 photo © Christian Köster, Aerogram studio. 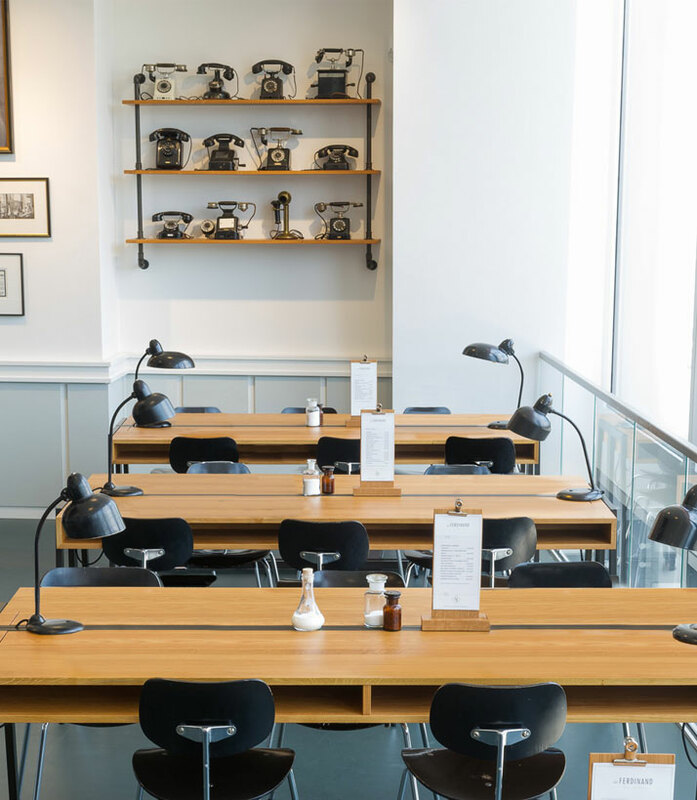 In turn, the Aerogram Studio decided to adopt an industrial minimalist 1900‘s aesthetic for the interior, referencingBraun’s legacy both as scientist and teacher: vintage telephones and other historical knick-knacks decorate the shelves all around the shop whilst a set of custom-designed school desks, paired with a specially commissioned blackboard drawing by Natalya Posukhova, create a lighter teaching-room atmosphere. 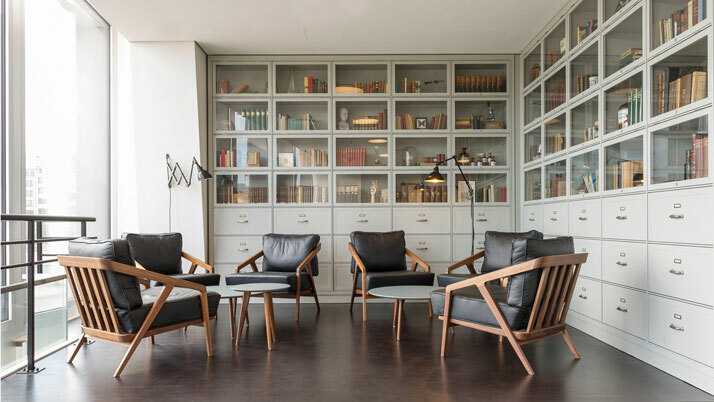 In one of the corners, an elevated ‘library’ area with comfy armchairs seems like the ideal spot for an inventor to conceive new, bright ideas! 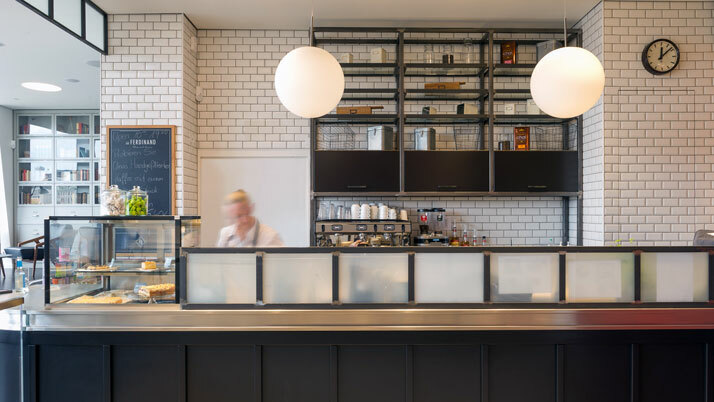 Aerogram Studio also designed the logo for the café, incorporating symbols of electric circuitry and a touch of Bauhaus style. 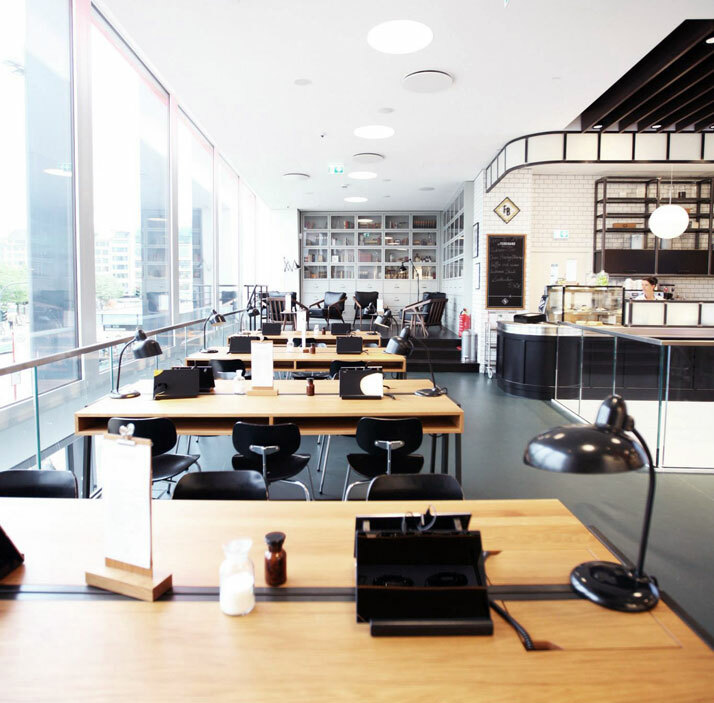 The café opened its doors in June 2014. 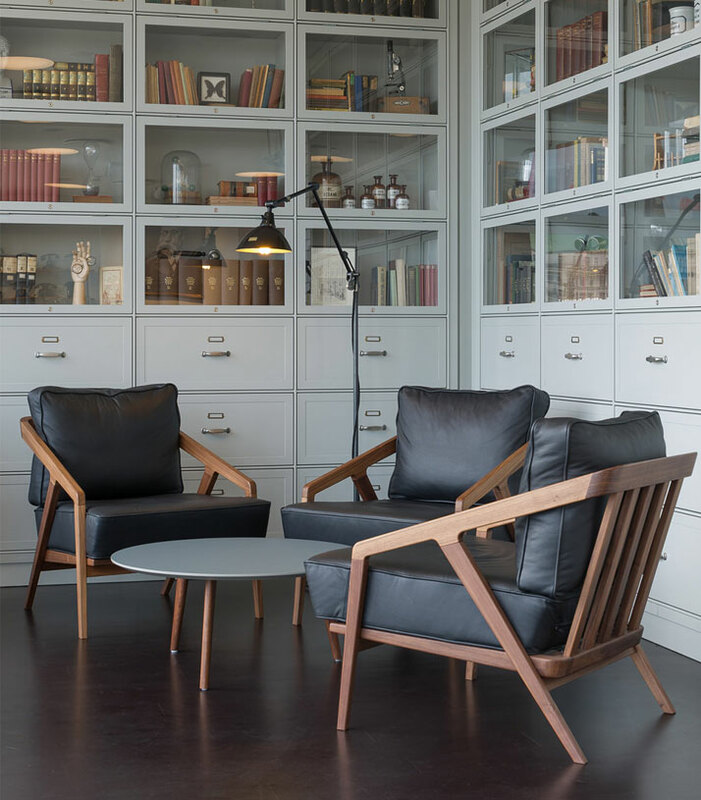 Custom designed built-in shelving to display books and historical knick-knacks.